Cognifocus Review – Will It Really Improve Your Focus? Home » Nootropics » Cognifocus Review – Will It Really Improve Your Focus? Nootropic supplements are becoming all the rage as more and more people – students and professionals alike – are finding the need to step up their game. It was inevitable that in today’s fast paced world, where increasing numbers of people are competing for their piece of what seems like a shrinking pie, productivity enhancing products would find their way into the realm of necessary for so many of us. I include myself in this group. I’ve used Adderall in the past for my mild ADHD, and if you’ve ever taken it, on- or off- label, you know it works. The focus, drive, and ability to concentrate and organize your thoughts can’t be beat. But Adderall requires a doctor’s prescription unless you’re willing to hit the black market. And that can be dangerous, expensive, and unreliable. So I, like so many others, have turned to nootropics – natural supplements designed to mimic the effects you can get with Adderall. And while nothing I’ve found is quite as good, some come close, and I continue the search. Which brings me to Cognifocus.A couple weeks ago, I had a visitor ask me to look into it for him. I finally got around to it the other day, and am ready to share what I found. The first thing I noticed in my research of Cognifocus was the false advertising they use to promote their product. Yes, Cognifocus (or one of their affiliates) is deliberately using false advertisements (Fake Blogs / Articles) to promote their supplement. That’s a pretty intriguing claim if you think about it. I mean, a real limitless pill that actually works better then Adderall, is 100% safer, and is available over the counter? If you click on the ad it will likely take you to a page that “looks” like the Discover magazine website. Headlines like “SPECIAL REPORT: Is this the most powerful brain enhancer on the planet?” scream out at you. The author of this article, who goes by the name James Rickman, apparently tested out Cognifocus over a 4 week period and had some pretty amazing results. There’s been all sorts of clinical studies popping up proving it works, and there’s plenty of other supporting evidence. So that brings us to our main question. Cognifocusis an nootropic supplement available online claiming to clear the fog out of your mind, sharpen your focus, and boost your memory and recall so you can stop making excuses and start getting things done. We should mention that there’s another product with a similar name, called Cogni Focus (as two words instead of one). It’s available on Amazon.com, is made by a different company, and has an entirely different set of ingredients in the formula. Cognitive decline exists on a continuum. We tend to think of either Alzheimer’s Disease or Senility, but there are really so many more levels than this. According to Cognifocus, decreases in brain power and cognitive performance can occur as young as 30, and it happens for several reasons. Generally speaking, if you don’t give your brain the nutrients it needs, it won’t function on the high level you’ve come to expect. Loss of memory, both short and long term. At 30, the decline may not be that noticeable, but once you start taking something like Cognifocus, that’s when you start to see the stark difference – that is, of course, if it works. Next we’ll take a look at the formula, which will give us a great starting point to determine whether or not Cognifocus can work. The Cognifocus formula comes down to 2 primary active ingredients. First there’s caffeine, 150 mg to be precise.That’s about the same as an energy drink or just shy of 2 cups of coffee. It’s a good start, as you’ll get your energy boost, but you don’t want to rely heavily on caffeine in your supplement. For one thing, you probably get caffeine from other sources throughout your day as well. And if you don’t, it’s probably because you don’t like the way caffeine makes you feel. But there are definite benefits. Caffein not only gives you an energy boost, it increases motivation, improves focus, and boosts your metabolism. Next up is the WGCP Blend.The blend totals 1645 mg of mainly Chlorogenic Acid from the green coffee bean, a powerful weight loss supplement that also boosts energy and focus a lot like caffeine. Other components of the blend include Neochloregenix Acid, Decaffeolyquinc Acid, Feruloyquinc Acid, and Fiber. The Green Coffee Bean in the WGCP Blend provides the energy and focus of caffeine, but without jitters or other unwanted side effects. At first glance, it doesn’t seem clear that there’s anything in the Cognifocus formula that will boost your brain power, other than the caffeine, which increases from the 150 mg when you add in the WGCP blend. In fact, the chlorogenic acid in the WGCP Blend is more commonly used for weight loss than anything else. It’s not commonly found in nootropic supplements. However, on a website for WGCP,set up and maintained by the makers of the blend, they talk about clinical testing that’s demonstrated WGCP’s effect on focus and concentration.The testing is very preliminary and by no means does it meet the scientific criteria for clinical evidence, but results show that in high enough doses, WGCP does improve performance on tasks that require focus and attention. The trouble is, we don’t know what that dose is and whether or not Cognifocus contains that amount. The recommended dose is 1 Cognifocus capsule taken each morning, and you should start noticing the effects within about 30 minutes. The bottle states that the effects last up to 6 hours, indicating that Cognifocus is not a cumulative supplement, but a fast acting one, meaning that it works when you take it, but you don’t necessarily need to take it every day to reap the benefits. The subject of who makes Cognifocus is a little unclear. Their official website refers to the company only as “Cognifocus”, but I’ve seen references elsewhere to the fact that it’s made by a company called Bio46. In the Terms and Conditions document, they refer to themselves only as Cognifocus. Either way, they’re based out of Minneapolis, MN and have no presence with the Better Business Bureau. At least it means there haven’t been complaints registered with the BBB. Yet. Cognifocus is only available online, but there are a few options when it comes to how many bottles you want to buy and for how much. For instance, the starter package is 1 bottle (a one month supply) for $56. Another option is Buy 1 Get 1 Free for $45, which is a far better deal than the starter package, since you’ll be getting two months for less than the original price of one.Per bottle prices go down as low as $22 when you buy 4 bottles for $156 and get 3 free. The offers are different depending on which website you’re looking at, so make sure to shop around to get the deal best suited to your situation. Returns are allowed for 30 days from the date you first ordered the product. You have to call and get an RMA number, then return the product to their address. Once that happens, they’ll issue you a refund minus a $9.99 per bottle restocking fee. It’s also unclear if they accept open and/or partially used bottles for return. What’s interesting to note that when you visit their terms and conditions page and get down to the “Returns / Exchanges” section, this HUGE banner pops up, thereby distracting you from learning the real truth behind their product. If you do want a refund, or have questions regarding the product or billing, you can contact Cognifocus by phone or by email.The customer service line – 888-470-0665 – is available M-F 9am – 5pm CST. Their email address is info@cognifocus.com and is monitored during their regular business hours. They also have a return shipping address that they’ll provide for you when you call for your RMA number. 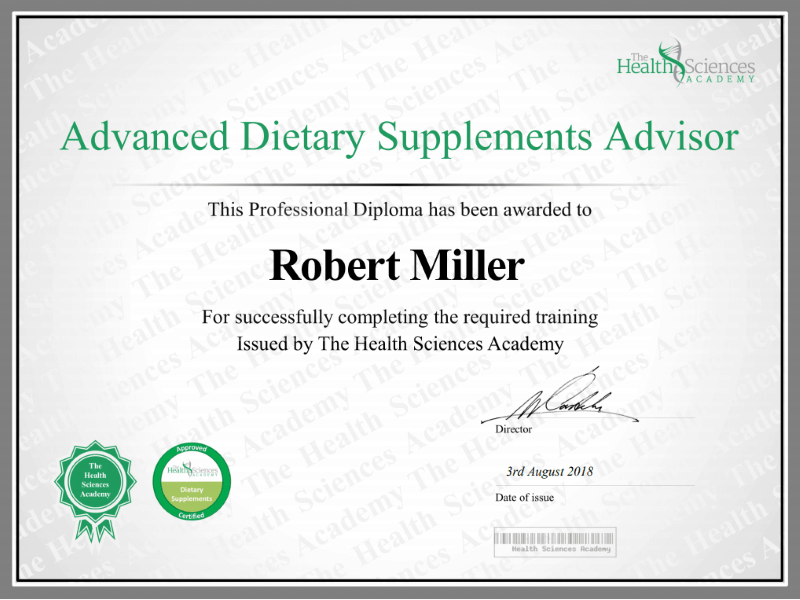 Usually, online supplements website provide a long presentation of customer testimonials to help convince new customers that this is really the way to go. In the case of Cognifocus, these testimonials don’t exist. While I don’t tend to put much faith in website testimonials in the first place, I do find it odd that Cognifocus doesn’t even go there. How bad can the feedback be if you can’t publish any of it. The caffeine and Green Coffee Bean will help you lose weight. It may provide a small boost in mental energy and focus. There’s no free trial scam offer. The formula is very weak, andwith essentially only two ingredients. People are reaching for nootropics for a lot of good reasons. We all need something to help us over that hump on our way to achieving our goals and reaching our dreams, and the trend for the past several years has been toward using natural whole foods and ingredients to fulfill those needs. Nootropic supplementsfit that bill on both levels. That’s why you’ll find products like Cognifocus at all.But they’re not all created equal, and they don’t all work. When you take Cognifocus, you’ll no doubt feel a surge of energy, but you can get that with an energy drink. If it’s a real and effective nootropic you want, you need more than just caffeine, smooth or otherwise. There are tons of other ingredients Cognifocus could have included: Huperzine, Vinpocetine, Phosphatadylserine to name a few. But Cognifocus chose not to. And by relying on just 2 ingredients, both based on coffee and caffeine, I think they missed the boat. Previous Previous post: Megadrox and Testadrox Review – Do They Really Work?